Razer adds the Naga Trinity to its gaming peripheral lineup. This is a new modular gaming mouse that ships with three interchangeable side plates, allowing users to choose between a regular two-button configuration, a seven-button thumb wheel configuration or a 12-button thumb grid. The latter side plate gives the mouse a total of 19 programmable buttons. The mouse is equipped with a 5G 16k DPI optical sensor with 450 IPS acceleration support, and the product also supports Razer Chroma LED light effects. 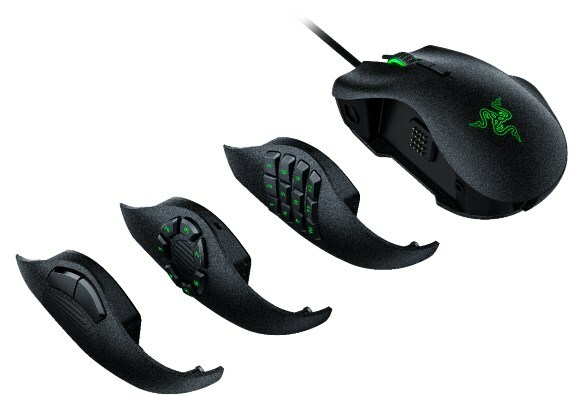 The Naga Trinity starts shipping later this quarter via Razer's webshop for $99.99 (119.99EUR).